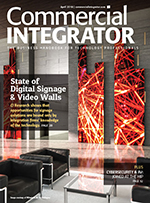 How Emerald Expositions’ acquisition of Commercial Integrator and related assets can help AV integration pros be better before, during and after sales. We’ve all seen the flurry of mergers and acquisitions that have hit the AV integration world in recent years and the deals have ranged from extremely large to relatively small. They’ve changed the landscape not only on the dealer side, but also among manufacturers. 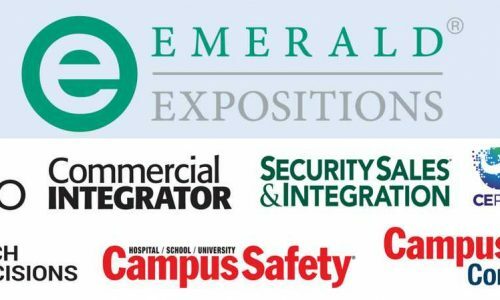 For those who missed the news last week, CI went from reporting on the latest acquisition news to being the subject of it, as Emerald Expositions acquired Commercial Integrator, along with CE Pro, Tech Decisions, the Total Tech Summit, Campus Safety and Security Sales & Integration. It’s the second major sale I’ve been part of in my career—and I can’t believe the difference in this one compared to my previous experience. It’s something I’ve mentioned a lot since the EH-Emerald sale went public last week and I think it’s something AV integration pros on both ends can learn from. I certainly wasn’t involved in any of the negotiations that led to Emerald Expositions acquiring CI and other EH Media assets, but it’s been nice to hear not only from several members of the Emerald management team but also my direct supervisor, editor-in-chief Tom LeBlanc, and division leader Jason Knott about what the sale definitely means, what it could mean, and what it DOESN’T mean for me and for others who are affected by it. It may seem simple to have someone say “your job is safe” almost immediately after a sale is announced but it’s the first thing you wonder about when you hear the news so peace of mind is a wonderful thing. I don’t expect to learn every detail of how the sides agreed to the deal, but it’s nice to know employees seemed to be an important consideration of the negotiations and we’re valued by our new employer. No matter how much people prepare for a transaction like this, there will be things that happen after it’s finalized that no one expects. Many now-former EH Media employees had minor panic attacks based on an unintended oversight by Emerald Expositions management about an important piece of their transition into the new company, but that oversight was addressed quickly and the rampant questions and speculation were quickly squashed. We’re all still in the midst of a transition that will include a new payroll structure, new employee benefits package and even a new email address [coming soon]. But it’s been reassuring to know that most of what we’ve always done will continue to remain the same, although I’m sure there will be some subtle changes that we haven’t heard about yet to how business is done under the Emerald umbrella. Change can be scary for everyone involved, including the company that’s doing the acquisition. Sure, the folks at Emerald Expositions expect their investment in the EH Media properties will bear fruit and make them a more powerful media entity. But if I or others here were walking around saying they expected things to go south as a result of the acquisition, it has a way of permeating the office. Trust me from experience on that one. That’s exactly what happened in the last sale I experienced and those worries proved to be grounded in reality and continue to be to this day. I can say without reservation I’m excited about the future under new management. I never got the sense Emerald Expositions was coming in to slash staff and boost profits. It feels to me like they acquired CI and our sister publications as a way of adding an asset it didn’t have to increase its market share in the AV integration and technology space. Change can be a scary thing. Take that from someone who’s had essentially the same haircut since I was a teenager more than three decades ago. Doing whatever you can do to eliminate some of the uncertainty that comes with inevitable change will help not only you, but those who work for and with you.